Our team are full of vibrant characters and provide you with energetic and motivational classes in a fun and welcoming environment. CRB checked, first aid trained and highly qualified at world champion level in their disciplines, our instructors are friendly and approachable. 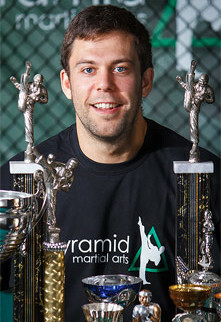 Jamie Wood is our Freestyle Kickboxing and Urban Krav Maga specialist, and co-owner of Pyramid Martial Arts. 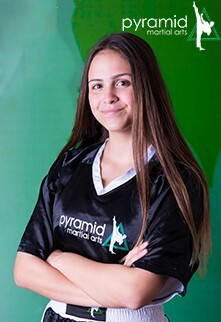 Jamie has been active in the sport from the tender age of five and has been an active Kickboxing competitor since the age of 7. Collectively over a career of 21 years (and still going), Jamie has extensively travelled the world, including Italy, Canada and Ireland, which has seen him successfully crowned World, European and British Champion. 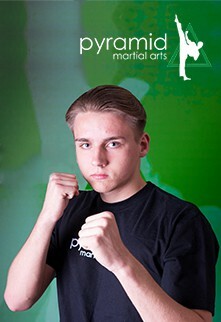 Jamie is a 3rd Degree Black belt in Freestyle Kickboxing and is a fully qualified Urban Krav Maga Instructor. 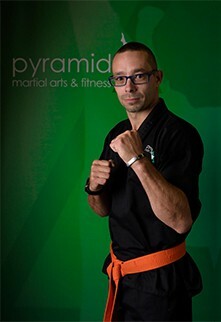 Matt Milchard has been studying Martial Arts for over two decades and has a martial arts career that has spanned 2 continents; first starting in Indonesia at the age of 9. He has studied several styles including; Lambacha. Shotakan Karate, Krav Maga and achieved a black belt in both Freestyle Kickboxing and Lau Gar Kung Fu. He was also an active competitor on the tournament circuit, winning both regional and national titles. Tania Viller is our pocket rocket, she may be small, but she can pack a punch. 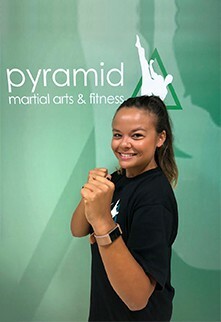 Tania is our Boxing, Kickboxing and Fitness Specialist, and has spent all her life training in Tae Kwon Do, Boxing and Krav Maga. 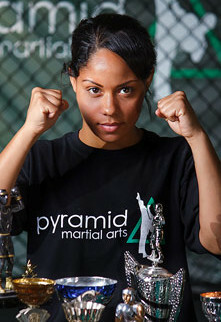 She has graced the world and professional stage, with ABA boxing, Tae Kwan Do British and international titles. 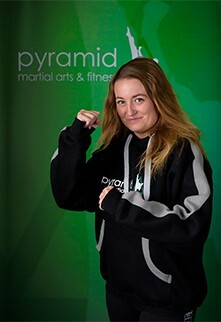 Tania holds her full Boxing Coach licence, is a 1st Degree in Tae Kwon Do, and is a fully qualified personal trainer. 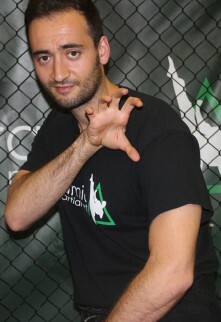 Michael Amiar is our traditional martial arts expert. Coming from France, Michael is a 3rd Dan Black Belt in Viet Vo Dao (Vietnamese martial arts). 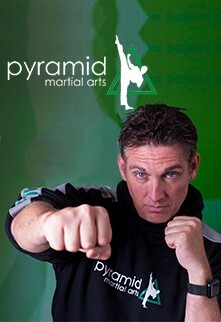 He is the freestyle kickboxing instructor as well. Always interested in the different approach in martial arts, he doesn’t stay stuck in his own craft and is looking forward to bringing new elements from other martial arts to his own. Michael started martial arts at the early age of 6 years old with Judo. He was influenced by the action movie stars back in the days and wanted to do fancy kicks, so he naturally moved to karate, then taekwondo and full contact kickboxing. Finally when he reached 15, he found his way with Vietnamese martial arts. He didn’t stop since then. He won several France titles both in sparring and technical skills. 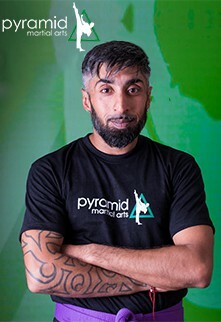 He moved to London in 2013 and has been teaching martial arts for PMA since then. Our BJJ chief instructor Gavin See started his BJJ journey in 2000, back in Johannesburg, South Africa, where he is originally from. There he obtained his blue belt in 2001, and in 2008 relocated to London, joining the Roger Gracie Academy upon his arrival. He obtained his purple, brown belts and eventually his Black Belt from Roger Gracie in December 2017. 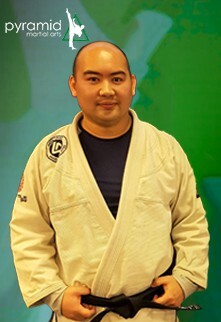 He has a passion for the art on all levels, including all other martial arts and combat sports. He has been an avid competitor in his early years, and continues to drive his passion for learning and knowledge.